I have an Arduino project where I am using an ESP8266 (Wemos D1 mini) powered via USB. I want/need to output an analog voltage from 0 to 10V. A solution that is pre-made (eg a shield or sparkfun type module) or easy to build circuit that does not require a new power supply (besides the ones I have which is 3.3V and 5V, thanks to Wemos USB power). Many devices allow you to control them using a 1-10V signal. I have two LED drivers at home that I would like to interface with: specs1, specs2. What would be the easiest solution to generate a 1-10 Volt signal? Is there a module I can use? I read about Op-amps but I don't yet have the knowledge to build one myself. 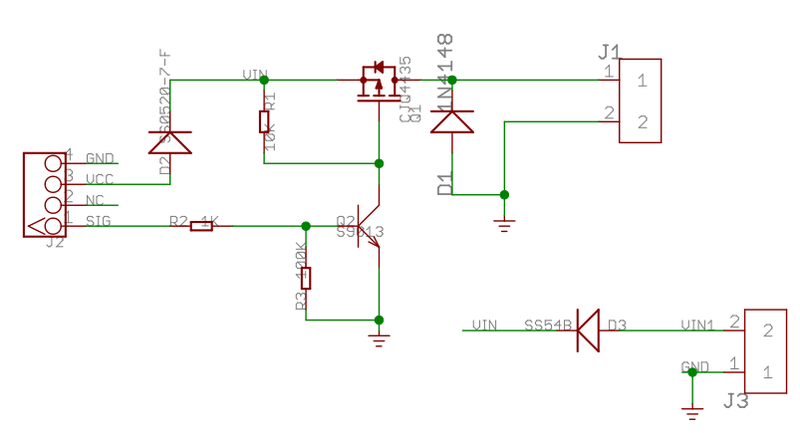 Another method is a DAC, but that seems to require a separate 10 Volt power supply. You do not need a DAC. In this 'regulation cases' PWM on digitalPin is used. See analogWrite Arduino function. I use Grove MOSFET module to have PWM of desired voltage. The MCU generates a 3.3 V PWM. MOSFET module gets in my case 5 V as input voltage. You would use 10 V as Vin. MOSFET switches the 10 V line on and off at 'PWM speed' resulting in 10 V PWM. As 10 V source you could use a 'boost' converter, to convert 5 V to 10 V.
is a charge-pump voltage converter that can be used to either invert the input supply voltage giving VOUT = -VIN or double it (ADM660 only) giving VOUT = 2 x VIN. Not the answer you're looking for? Browse other questions tagged esp8266 power pwm or ask your own question.